very beautiful boy. So cute. Very cute and cool photo! If I had glasses like those, they’d be my favorite, too. Thank you for visiting my blog, and for commenting. Visitors are always welcome, especially those who take the time to comment. I appreciate it. Oh my this is really cute!! 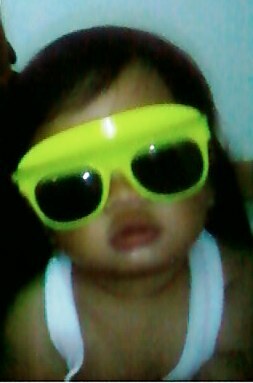 cute naman ng glasses much more si Elijah. You have a handsome son. The sunglasses are certainly different than any I have seen. Thanks for the nice comment on our yellow door. 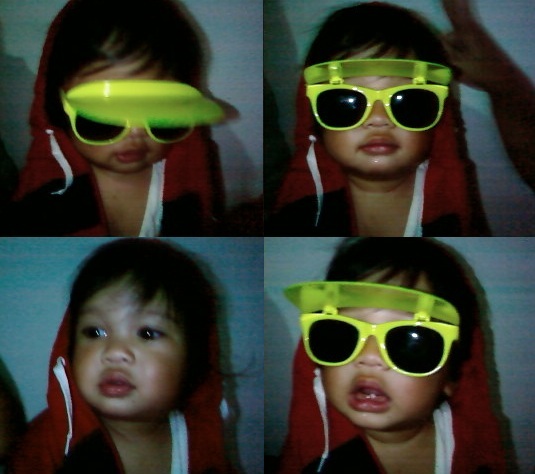 Cute ng baby mo.Happy MYM and thanks for the visit.